There was a time when I would arrive at work and have people comment on how tired I looked or ask if I was feeling unwell. I never realized wearing colors that didn’t suit me could diminish all the effort that I made in my personal presentation. After my session with Sonia, I am empowered with the ability to discern what supports and flatters me and what doesn’t. This mean I dress and shop with more confidence and best of all I save time and money by eliminating whole sections of shops because I know the colors that don’t suit me and I minimize costly fashion mistakes. I am leaving the safe and beautifully held space of this workshop in deep gratitude and peace for the profound learning. And I cannot wait to put all those great in sight & tools into practice! Sonia, you are AMAZING. It is a great workshop. All the feelings of a person forwards themselves and to others are clearly explained with great examples. Easy to understand and practice! I first went to see Sonia over the Summer of 2014. It was a difficult time for me. I knew I needed to make some changes to my life (both personally and professionally) and I was prepared to try something “different” – I just didn’t know what. Sonia came on the scene (almost by accident) and assured me she could help. Although I was a little sceptical, I decided to give working with Sonia a try anyway and I am so glad that I did. Since seeing Sonia, I have had some major life changes and gained a new perspective on the world. Today my finances have dramatically improved, my self-esteem is high and I feel like I am back in control of my life. My work with Sonia has been a big part of these changes. I wanted to say thank you in some way, so I wrote thisˇtestimonial. If you are feeling a little stuck, or if you feel you need to move to a new level in some way, go and see Sonia. Just have an open mind and some great things can happen for you. Sonia gave very useful tips that are easy to apply and change the perspective of my style and image and I trust that I can take immediate action on. I attended Sonia’s Image Enhancement workshop; it was a great experience and I really enjoyed all of it! Everything is so easy – your service is crucial to humanity. Why you ask me? Because you save time, you save money, you save energy and at the end of the day you know who you are. You can walk into any situation feeling great about yourself, feeling good about whatever you’re gonna do, whether it be a talk or a meeting. You just know that you are congruent from inside out. The effectiveness of how directly its (Family & Systemic Constelaltion) work goes straight to the issues we’re all addressing went very deep. Even when we haven’t voiced a particular issue, Sonia holds a very clear, strong, safe space and has a really succinct way of connecting what is evolving and moving with the emotions and issues as they are arising. My first contact with the Centre was almost 5 years ago when searching for Systemic Family Constellation, an effective and highly spiritual therapy. Sonia was the only person in HK conducting the therapy in the standards I had sought in Europe. Since then I got to experience hypnotherapy and became fascinated by the teachings of Integrated Hypnosis. 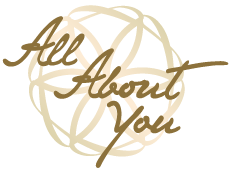 ‘All About You’ has been empowering, life changing and great reminder that my life is really about the choices I make. Excellent presenter who demonstrated knowledge, experience and capability. Jaz’s introductory talk/demonstration was fascinating, delightful and inspiring – I look forward to seeing and feeling the results. I recommend Karen Pryce for a soul reading. She is friendly and patient as I was interrupted with some unexpected phone calls. She explained things to me. She is an awesome reader. Highly recommend her for readings and Soul Life Plan readings. Yuvraj has the ability to make it so so simple and do-able! Thank you!!! I’ve gained a lot of insights and revelations. I think I understand my child and his psychology a lot more. Great ! Why aren’t we learning this in primary school !!! Anyone who has the privilege of knowing her and working with her will receive wisdom, advice, and insight to go beyond what most people dream of. What we do with that information, is then up to us. I really enjoyed the healing your inner child workshop it balances theory with practical experiences to help you become more whole and able to live in the present. I also learnt that it can happen at any stage of your life. Sonia is very easy to learn from, and further enrich my spiritual studies. She has encouraged me to practice on my own teaching and practicing methods. I saw how people who don’t have any previous understanding, really learn foundation of Chakras. Amazing and life changing experience, learning while resolving issues, love it! Sonia you are such a wonderful teacher. I feel such gratitude. Thank you! Such a fun, fruitful experience and workshop! I can’t believe it has only been 3 hours. I felt like I have been studying this for days,that’s how much I felt like I have learned. Jaz is amazing and I felt an immediate shift in my body and mind. It’s such a fun and informative workshop where I don’t only learn a lot about chakras but also understand the issue behind and how to unblock it with a positive affirmation. Highly recommend! Sonia always delivers the good workshop and very articulated, structured, organised and clear. A very enlightened experience to not only help you understand yourself better but also to gain a practical technique to manifest your goal. Sonia, it was a wonderful experience going through your workshop. I could make new breakthroughs and feel so exuberant and excited like a child, to go through and create a new life for myself. It was an experience which is a turning point in my life. It was made me ready for this new life, more than ever, working through the negative beliefs that I had been carrying for years. Thank you so very much. It was a great experience. I had many realizations while doing the activities. Your energy, ease and grace make it very easy for participants to share. Thank you for organizing such a loving workshop. I felt totally at ease and blessed in your company. Sonia you made it so easy to get in touch with our inner beliefs and inner selves, so easily we were able to a have a deeper understanding and more lovingly you helped to release as well, things which had much older roots. It’s amazing the way you yourself are all so clear, sorted, loving, warm and gentle, yet very deep and impactful. Lots of love and warm wishes to you and for your future. As you help others & help them transform into butterflies, may many Angels be with you and ease your path always. Excellent techniques that can be applied in daily life. Like watching a movie of our life, words, feelings, interactions so accurate. The role played by all helps us move FORWARD. The session was fantastic! I got deep insights into my past, past patterns and self-beliefs which I have been repeating. In spite of my will to change my situation, I realise that I needed to shift my relationship with myself for things to actually change. I learned a lot as it was my first family constellation. Good to know how to use PAC & values such as self-determination etc. It’s very hard to put into words the extent of what Sonia does but all I can say is her work is life-altering. She has a strong commitment to peel off our layers one by one by delving to the source of where our issues truly lie with ourselves. Sometimes the journey may be painful to relive whilst at the same, it’s truly worth the experiencing when it leaves you on the other side feeling truly innerwardly calm and totally peaceful. The work reclaims both the old and new parts of yourself. The work makes me feel more whole, more loving towards myself and I emerge with a greater sense of true peace and freedom and the desire to ongoingly reach towards even further levels of peace and freedom in this lifetime. Thank you Sonia for dedicating your life’s work to the mission of freeing our souls for that both myself and many others are forever truly altered. It is an excellent experience. I have got connected with my being and now in every breath, I am living out my transformation. Sonia’s presentation was very clear. The way she puts her speech was interactive and funny which is definitely a plus. Sonia is a truly passionate and knowledgeable person and I recommend you to use her services. I am absolutely thrilled about everything I’ve learnt in this workshop. It is incredibly helpful and I’ll be happy to work on myself with the knowledge I’ve gained. An amazing workshop to know about yourself, your personality and how you can enhance it with a few but great tips which said it all. Excellent way to learn about your true self as well as enhance your exterior by the enriching advice and comments. The workshop held by the tremendous Sonia Samtani is a place to learn insightful tips on the journey of life and how to dress for life. Both Sonia and Ana have very practical hands on approach; simple, effective, graceful and thought provoking. At the workshop, I learnt some great things that I would never buy a book for, but that I know are absolutely vital for the workplace, relationships, health and family. It was a wonderful experience. So much could be revealed and then released through simple techniques. I believe healing your inner child is the important step towards a healthier happy life. Very intense and satisfying. I would recommend it to anyone who wants to have a better understanding of themselves and the world around them. After only a few sessions I found that surprisingly there was a lot of other things happening in my life. My business was improving, I was getting a lot more clarity, more focus in my work. Also I was becoming a bit more creative, re-visiting past activities (music and photography) and found a positive impact in my life in these areas as well. Sonia is a very knowledgable and warm facilitator. She is confident, exudes power, yet also brings in a fun element in her seminars. Her dynamism is very inpirational to me! The Louise Hay Workshop showed me techniques to use to empower and protect myself so I don’t fell back in the old patterns. It opened my eyes to see how I can learn through her exercises to analysis about the situations in my life. Sonia’s bright happy energy is very powerful and makes you at ease right away! She opened my eyes and mind to important limitations I had about deserving…I feel so open for receiving the best I need and want…Thank you for helping me to remove “block’s”. That really needed/had to be removed to truly love and accept myself… You are a star! Thank you. It was very beneficial. Most enjoyable. Speaker was very knowledgeable. This workshop is very practical, goes deep into finding the root of your problems and how to improve. Really good introduction into body image. Level 2 was far more than i could ever have imagined. I loved it. very valuable to my counselling work. So much more powerful than Level 1. Wonderful experience to start the hypnotherapy journey. It was a lot of fun and I learned a lot. It was very inspiring. Great tips for a balanced vegetarian lifestyle. The presentation and explanation of types of problems and techniques of therapy were well structured and explained. The practical hypnotherapy practices as therapist and client were invaluable. A “learning” and “healing” experience. I enjoyed the practical exercises and feel that I can continue some by myself after the workshop. I really felt the release of negative emotions. Life transforming experience for me which has expanded my awareness and knowledge and shifted my emotional state and consciousness. It’s a life treasure which every person should acquire with love and gratitude. Very very helpful and inspiring. My fear score went from 8 to 3! It is amazing to me how immediate the healing is with hypnotherapy. I feel so happy that I myself, am working to heal what was hurt. It feels that the healing is all done in love and acceptance. Sekhem energy healing was an interesting and inspiring course. You learn practical applications and some theory to help you empower yourself and others around you. It was time well spent. The course was parked with valuable information. Simply, this workshop is life changing. Beyond expectations! Amazing experience with Sonia and the class. I had a great day with my inner children. Great way to make peace with myself. I was shy and nervous when I presented this morning and I realized that I made huge difference at the end of day. I just started my self-learning/healing journey and the workshop provided a lot of useful information. Jaz was able to make the workshop applicable from newbies like me to professional healer the class. Very enjoyable and valuable experience. I was shy and nervous when I presented this morning and I realized that I made a huge difference at the end of the day. I learnt so much about the mind and how it works. It helps me to understand myself and others so much better. I especially love the self-hypnosis techniques. That would definitely improve the quality of my life. I attend Susanne’s talk every year and thoroughly enjoy it. Thank you so much. Loved learning more about chakras and having practical tools. I feel will help in my life. I’ve gained some valuable and much needed insight into the “why’s” of my toxic relationships and can start healing and working on myself. Sonia displayed great proficiency and skill during the constellation. A wonderful grace in allowing the process to emerge in its own time! No pushing, just trust! Thank you very much Sonia, your sessions helped me a lot. Now I am more clear of what I should do and where to go. I attended the integrated clinical hypnosis level one course, not to become a practitioner, but for my own health challenges. I was very stressed in the midst of mid-life career change and was having a skin rash that would NOT go away in 4 weeks while normally a skin rash would go away in 2-3 days. During the course, I came in touch with one of my core beliefs which prevented me from moving forward, and immediately the skin rash subsided that very same day. It was interesting because I have done so much personal growth and emotional counselling work on myself that I have practically erased all negative beliefs consciously. Apparently, these beliefs are still in my subconscious mind and affecting my health and my behavioural results. I am glad I did this course. I’ve found Sonia’s courses on hypnotherapy one of the best that I’ve ever done. She has changed people’s lives; she’s changed my life. I’d always had a fear of the sea and we had done a hypnotherapy session and I’ve now since gone on holiday and I am able to swim in the sea without any fear. I’ve got a lot more inner peace. And now I am beginning to help people again which what I am here for. “Sonia is doing an excellent service by providing a lifetime opportunity of bringing “Hypnotherapy courses” as well as other courses right at our doorstep. We truly are fortunate enough to experience this. I’ve learnt so much from Sonia’s course; after doing it I feel new – I come across differently. I dress, walk and stand elegantly and I speak confidently and with a smile. Thank you so much! I have anxiety issues; I already do feel more calm on day 2 of the Hypnotherapy course…I’m able to understand emotions and express them better. I woke up one day and decided to change my life and this just gave me the push I needed! Sonia is an engaging and knowledgeable presenter and trainer – I enjoyed learning and practising a new skill! There was a time when I would arrive at work and have people comment on how tired I looked or ask if I was feeling unwell. I never realized wearing colors that didn’t suit me could diminish all the effort that I made in my personal presentation. After my session with Sonia, I am empowered with the ability to discern what supports and flatters me and what doesn’t. This means I dress and shop with more confidence and best of all I save time and money by eliminating whole sections of shops because I know the colors that don’t suit me and I minimize costly fashion mistakes. It is a short but very full presentation. Wonderful presenter. Useful, succinct messages put across effectively. Really enjoyed it. Found the facilitator enthusiastic and informative. The workshop spare are secured enough to release your inner child. Sonia could guide me to find out the route course of my believing which didn’t serve to me anymore and release it. The experience was beautiful and insightful. I highly recommend her workshop.